Create an Instant Christmas Feel. These beautiful standard Holly trees have lovely variegated foliage, and will make a classy addition to any patio. Perhaps use flanking a front door to make a swish looking entrance to your home. The glossy leaves are evergreen and slightly spiky, yet the prickles remain soft. Small, white flowers bloom in late Spring with dark red berries making their appearance later in the year. This makes these Holly Tree Standards an attractive addition to the garden at all times of the year. Beautiful bushy 'lollipop' heads sit on top of clear stems, they look fantastic paraded either side of an opening or entrance where they will stand guard come rain or shine. These plants add an air of high class luxury and will enhance any area you decide to place them. If you want to attract birds to the garden, holly is a great addition as they love the berries. Holly trees make a fantastic and unique seasonal present for a friend or relative. A gift that can be looked after, grown and cherished for years to come. Each and every year they will develop a larger head of foliage and heavy crops of the beautiful striking red berries. 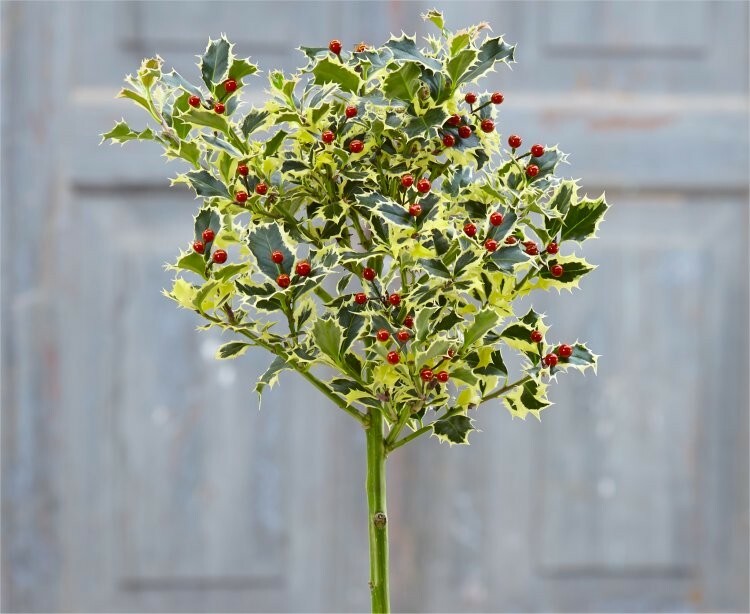 Supplied with a clear stem, topped off with an attractive lollipop head, they look fabulous when bejewelled and decorated with seasonal berries. 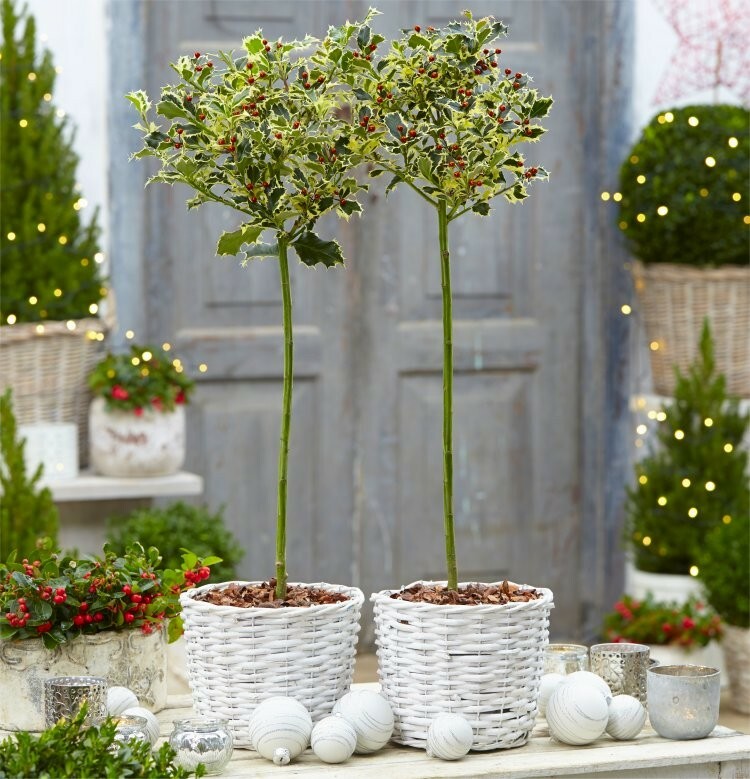 The overall height of these gorgeous holly plants including planter is around 70-90cms. This distinguished evergreen really is a sight to behold. These trees make a great decoration in the festive season, in a porchway for example as one enters the home. All year round they provide a high-class property enhancing look, and can be used in place of where the popular bay tree is often paraded. Highly recommended. TWO 'Argentea Marginata' Holly Trees supplied at an overall height of around 70-90cms growing 2-3 litre containers, completed with attractive baskets as pictured. Create an Instant Christmas Feel and Celebrate for less with Gardening Express!! !